More and more organizations are looking to adopt Agile practices in order to transform their organization. In my experience, people in organizations are overly focused on how to motivate people to “be more Agile”. If we boil away Agile and all the associated methods and tools, we’re left with wanting people to behave differently and many people focus on motivation being the key to behaviour change. Plenty of people cite Dan Pink’s Drive (mastery, autonomy, purpose) as being the keys to motivation. Motivation is important, however without ability to do things differently, change isn’t likely to happen. This is why I’m a fan of the work of BJ Fogg. He describes how motivation and ability intersect to create behaviour change and why it’s important to consider using different change triggers depending on which are you feel it’s best to focus on. All the motivation in the world isn’t going to work if people don’t have the ability to do the new behaviour or use the new method or tool. Training and practice are ways to build ability and looking at BJ Foggs’ change triggers can be a good way to figure out what methods, tools and training make the most sense. 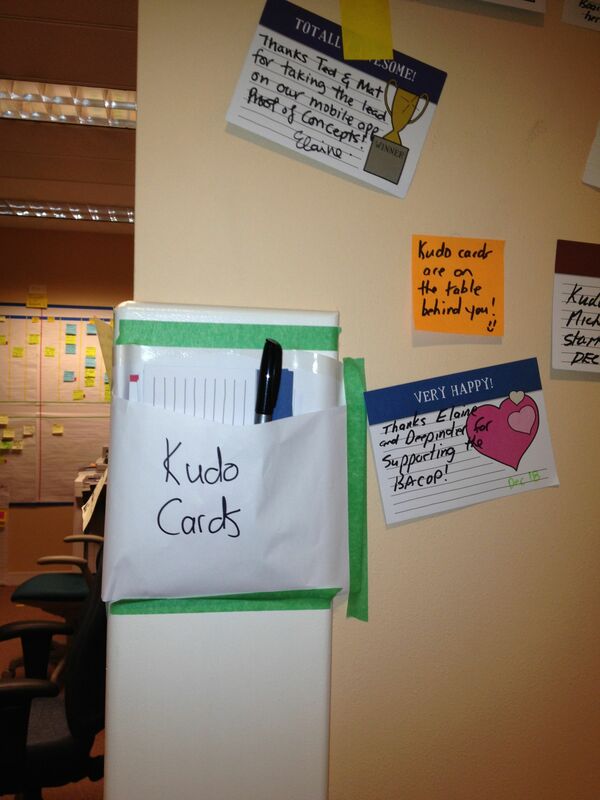 I worked at an organization where we introduced a Kudo Wall from Management 3.0. Early on it was only the change team that were posting Kudo cards. 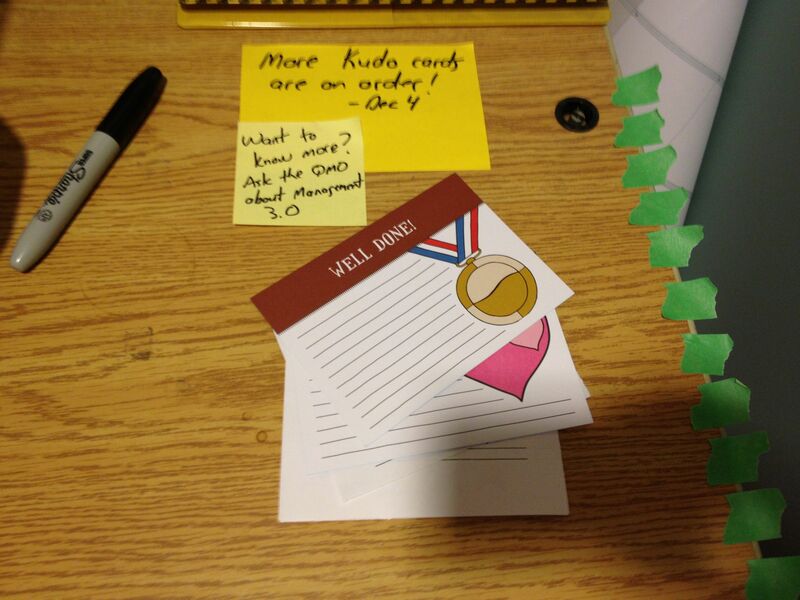 Directly across from the Kudo Wall was a table that had a sharpie and the Kudo cards. Apparently turning around and picking up a card was too much work for some people. Over a couple of months there was no change in people using the Kudo Wall. One of BJ Foggs suggested triggers is facilitation, or, make change easier by facilitating it. So I taped an envelop to the wall and put the cards and sharpie into the envelop. Within a week other people outside the change team started using the Kudo Wall and within a few weeks the whole wall was populated. To me, this shows people were motivated to put cards up and simply needed the barrier to doing the behaviour reduced. Facilitating change in order to help with the adoption of new behaviours can be a powerful approach to transformation. Building ability will lead to intrinsic motivation and it’ll take time, which is why I don’t believe transformation can be budget for and scheduled. Time is the silver bullet. How are you facilitating change in your transformation? Those little tweaks can be really important. David Allen in Getting Things Done notes that if your file cabinet isn’t within swivel distance of your main workstation, papers won’t get filed. You’ll end up with a pile of stuff you already looked at once, but have to examine all over again when time comes to file things. 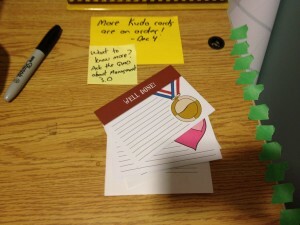 In a sense, putting the cards and sharpies right on the wall is a kind of User Interface tweak, isn’t it? And those little tweaks can result in huge changes in behaviour, at least in online software. Thanks for the comment Neil. BJ Fogg uses some examples of how social media sites (IE: Facebook) concentrate on both motivation and ability to get users to try a new feature or come to their site. He also talks about the importance of piggy-backing new behaviours on top of old habits to make transitioning to a new behaviour easier. Cool stuff! I have to thank you for introducing me to his work, actually. I’d never run across him before, but his stuff makes sense and is very accessible. I just watched the video on his website for the first time this morning, following the link in this post.